Liberty parents have many options to get involved and grow spiritually together. APD Captain Paul Harrison invites all Liberty dads and their students of all grade levels to a monthly breakfast for the Liberty chapter of All Pro Dad. Fellowship time begins at 7 a.m. and the program runs from 7:15 a.m. to 8:05 a.m. in Commons Place. In addition to a great time for fathers and their children, the program will include topics on fatherhood and family. Each month, dads will take away some great tips and resources to strengthen their relationship with their children. For more information, email Paul Harrison at paul.b.harrison@sbcglobal.net. 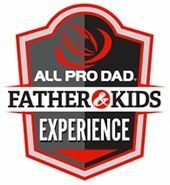 With Super Bowl-winning coach Tony Dungy as its spokesperson, All Pro Dad is a unique and innovative program from Family First, an organization designed to help the family be a top priority in people’s lives through promoting and advocating principles for building marriages and parenting today’s children. Liberty moms and grandmothers pray together every Monday from 9:00–10:00 a.m. by CONFERENCE CALL from home or mobile location! For conference call information, please contact Jill Taylor Gordon, Liberty parent, at Jilltay1@aol.com or 817-825-2036. For more information about Moms In Prayer International, visit www.momsinprayer.org. Please also send Jill Taylor Gordon any prayer requests. "Forgiving Forward" by Dr. Bruce Hebel – A study on Thursday mornings beginning Jan. 17, 8:30–10:30 a.m. in Bartonville; Contact Kristi DeWall at kdewall@me.com or 214-697-0706 for more information.